Happy Thursday! If you’re looking for something fun to do, read on for a list of local events. The Wenatchee Public Library will host sensory-friendly story times on Thursdays through April 11. Friday is Healthy Kids Day at the YMCA. On Saturday, Sustainable Wenatchee is partnering with Joyful Scholars Montessori for their Joyful Tour of Sustainable Living. They’re offering classes on eco-parenting, cloth diapering, chicken keeping, biofeedback, fermentation and more. Take one class for $15, two for $30 or 3 classes for $35. Also Saturday, it’s Non-Profit Day at Pybus Public Market. The most popular annual event at Mission Ridge returns Saturday: the Dummy Downhill contest, in which participants strap dummies in wacky costumes to skis and then launch them down a hill. Kids love creating these things and coming up to watch the action. Saturday at 11 a.m., it’s Family Story Time at the Wenatchee Library. Later Saturday afternoon at the library, there will be a Spring Break Party for preschoolers, kids in early elementary school and their families. Snacks, STEM activities, stories, crafts and more! If your child has Autism or Sensory Processing Disorder, there will be a sensory-friendly showing of the new “How to Train Your Dragon 2” this Saturday at noon at Gateway Cinema. On Saturday and Sunday, the Jordan World Circus will perform at the Town Toyota Center. The WHS musical, “You’re a Good Man, Charlie Brown,” runs through this Saturday. Here’s a perfect excuse to hire a sitter and head out with your friends: The Wenatchee Valley Museum & Cultural Center is holding its annual Night at the Museum event on Saturday. Explore the museum at night, while you enjoy beer, wine and live music. The Cashmere Museum will host a free class for kids in grades 3 – 6 on Sunday from 1-3 p.m. The class is called “How do you eat a woolly mammoth?” and will include hands-on activities. Kids will also get a tour of the museum to see examples of objects discussed in the class. Call the museum to sign up: 782-3230. 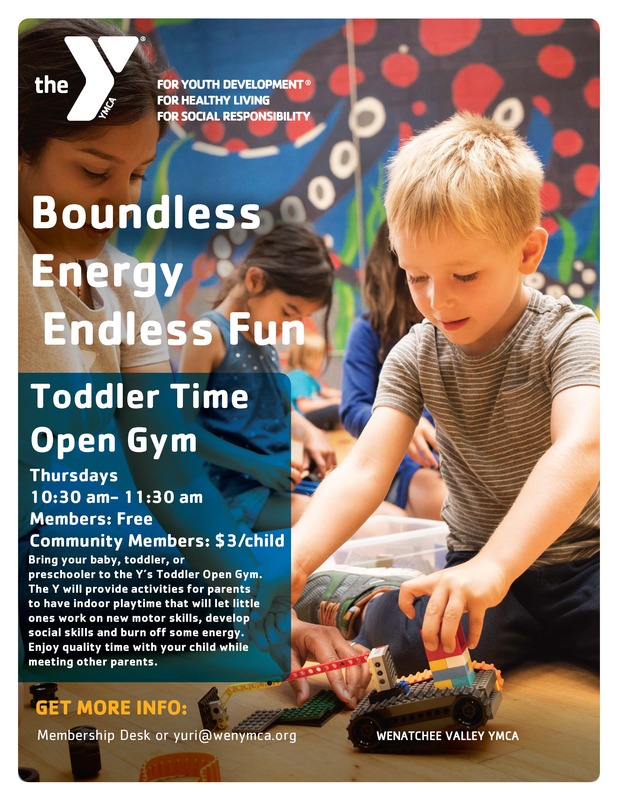 Registration is now open for a new YMCA program called HYPE! — a PE program for homeschoolers 6 to 16 years old with set curriculum including games to develop strength and coordination, health and nutrition education, learning the basics of team sports, and lots of fun! Kids will spend one hour at the YMCA with a Homeschool PE coach. Classes start April 3. The Mariachi Northwest Festival is next Friday at the Town Toyota Center. On Monday, April 1, local mom and fitness coach Ali Wells is hosting a stroller fitness class. It’s the season-opener for her group, Wenatchee Family Fitness. The class begins at 10 a.m. at Walla Walla Point Park. Family Day at Lisa Bee’s is coming up on Friday, April 5. On April 13, TEAMS Learning Center is holding its annual Sock Hop fundraiser at the Wenatchee Valley Museum & Cultural Center. There will be a classic car show, a dance, a costume contest and more. And kids are welcome! There will be a free art class for kids at the Wenatchee Valley Museum on April 13.